Alhamdulillah. I am super happy today for visiting some more museums in Amsterdam (I’ll write about the museums later in another post). 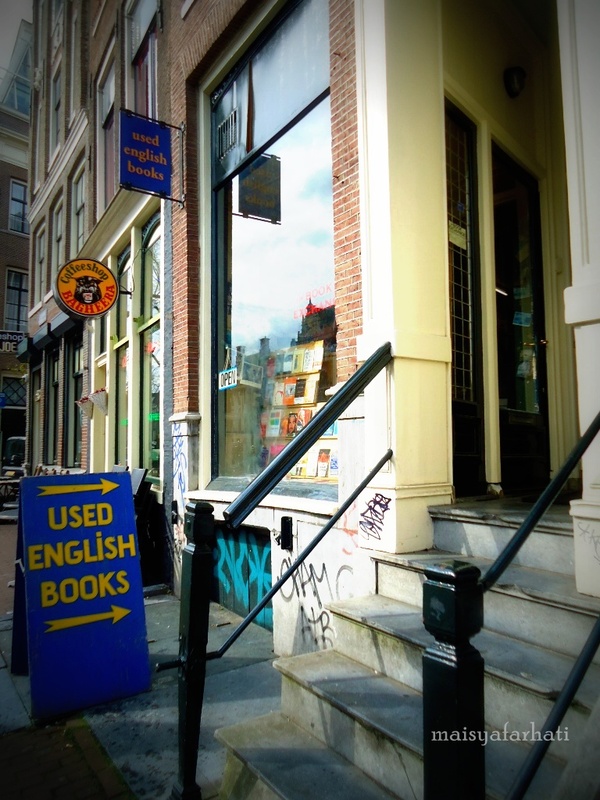 Among others, one thing that also made my day is finding this bookstore which sells used English books. And I really love the books I just bought today. Yeayy..
‘The Story of Indonesia‘ was written by Louis Fischer, author of ‘The Life of Mahatma Gandhi’ (which I haven’t read actually) and published in 1959. So this book is 55 years old now. The bookstore owner said that this kind of old book is hard to find but easy to sell (yeahh..). And this book has been on the shelf for only few days before a lucky person got it (and it is me..hehe..). I finally decided to buy it after I randomly picked some pages to read. I saw more teeth in Indonesia in any one month than in a year in Europe and the United States; Indonesians smile often, and their laughing point is low. I fell in love with the book (and probably with the author as well?) right after that. I like the way he told the story. He wrote it beautifully. The whole book might be discussing about history, geography, culture, etc. The point is I always love to read things in narrative ways I guess. Okay, now the second book in my right hand. Such a long title. But thanks to it I don’t think I need to explain what the book is all about. Haha..
Oh so that’s the summary of my beautiful day. Hehe..
Have a nice weekend to you all!